The Long-Sleeved P-6 Logo Responsibili-Tee® is made from a comfortable and sturdy 50/50 blend of recycled cotton/postconsumer recycled polyester. The tee's fabric reduces Patagonia's need for petroleum to make raw materials and cuts landfill and incinerator waste. 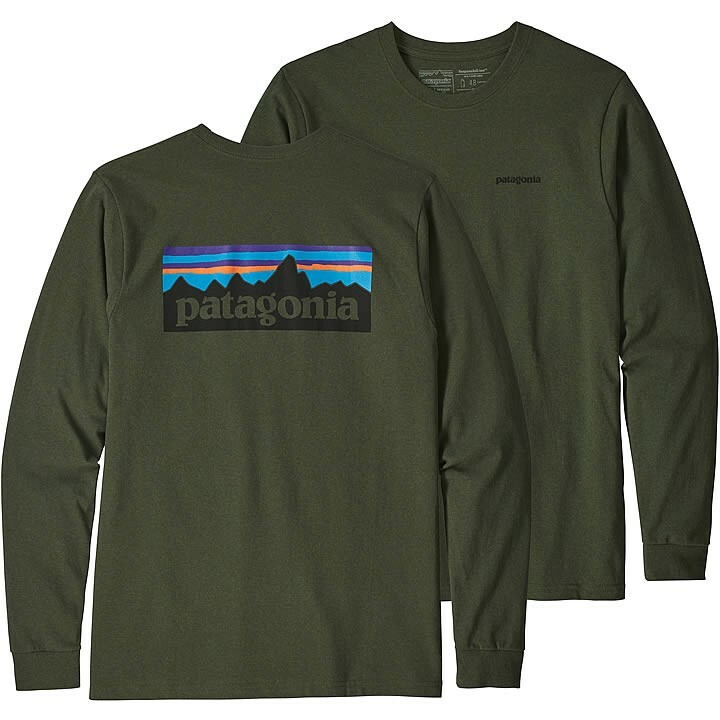 Patagonia original art is screen-printed using inks that are PVC- and phthalate-free. Taped shoulder seams lend comfort and fit retention. Fair Trade Certified™ sewn.